Rev. Clair Sauer started serving as the pastor of Wesley Memorial in 2015. 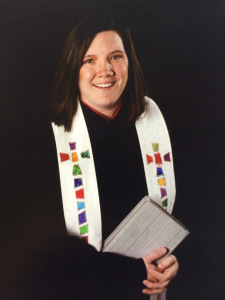 She began ministry in the Holston Annual Conference and Chattanooga District in 2007, after graduating from seminary at Wesley Theological Seminary in Washington, D.C. Before coming to Wesley Memorial, she served the Grace-Fairview Charge in northern Hamilton County for six years, and prior to that as an associate pastor at First-Centenary United Methodist Church in Chattanooga, TN. In her spare time, Clair enjoys riding bikes, hiking, and reading. Rev. Sauer is married to Rev. 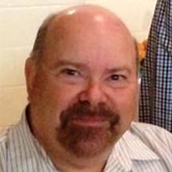 Ken Sauer, who is the pastor of Red Bank United Methodist Church in Chattanooga. They met while working in the Scenic South District and enjoy serving Christ’s church together. They have two children, a teen daughter and a pre-K son. Clair considers it a great honor to serve Wesley Memorial United Methodist Church, and is excited to see how God is moving in this congregation. Moreover, she is looking forward to seeing the Church continue to grow in its love for God and the people in the community. An accomplished organist and musician, Stephen has had oversight of the Music Ministries at Wesley Memorial UMC since 2003. Prior to coming to Wesley, Stephen was the organist at St. John United Methodist in Chattanooga. Stephen also works in interior design and has contributed much to the music and worship arts at WMUMC over the years. A lifelong United Methodist who grew up attending a small church in Western North Carolina, Anita has worked as the Administrative Assistant for Wesley Memorial for almost 30 years. 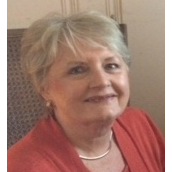 She moved with her husband and family to Chattanooga in 1979 and worked as Secretary at Hickory Valley Christian Church prior to beginning here at WMUMC. In her time at Wesley, Anita has worked with eight senior pastors and two associates. Though semi-retired since 2003, Anita feels blessed to have to the opportunity to continue working in a job she loves. Anita and her husband have three children, eight grandchildren, and four great grandchildren.